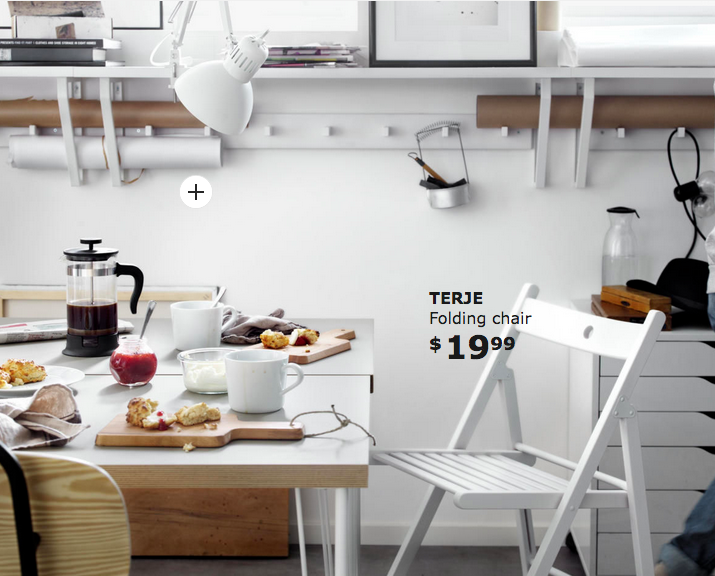 IKEA launched their 2018 catalogue online today (in the US) and we took a little sneak peek. 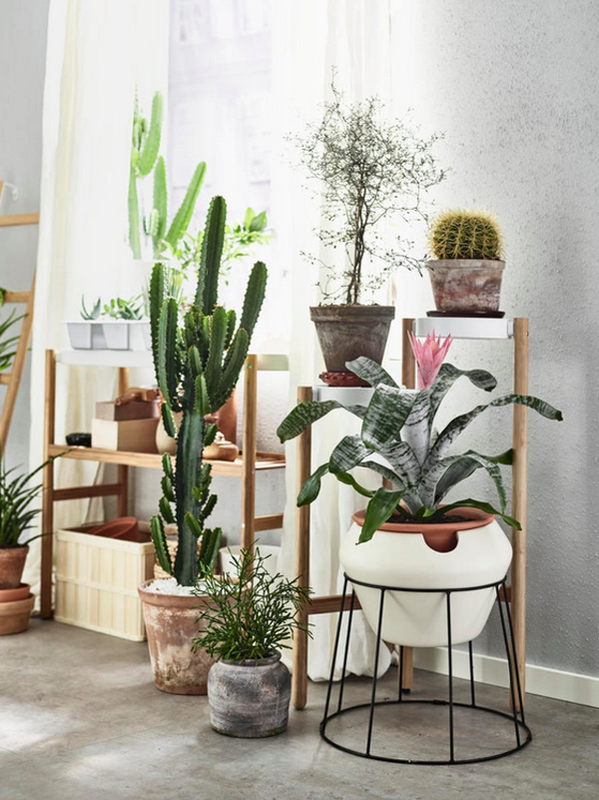 The theme this year is "Make room for life" which is about looking beyond the walls of your home and not letting them determine what you want it to be. 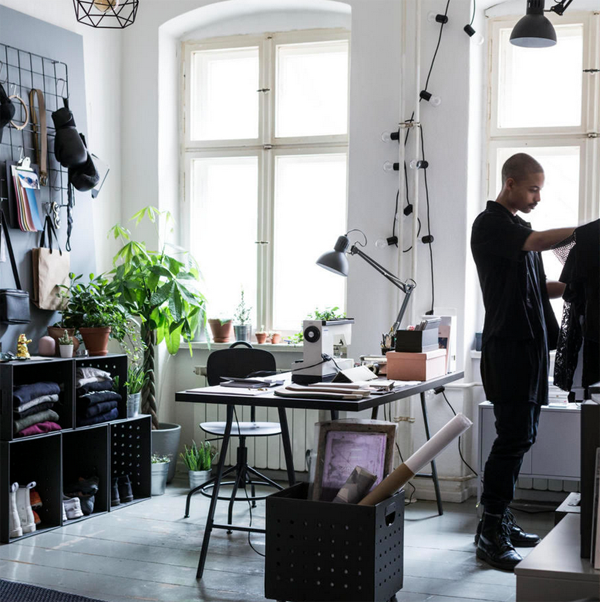 It prompts you to ask yourself what it is you want more room for in your life - whether it be friends and family, nature, relaxation, or maybe a bit extra room to do nothing at all. We can totally relate. 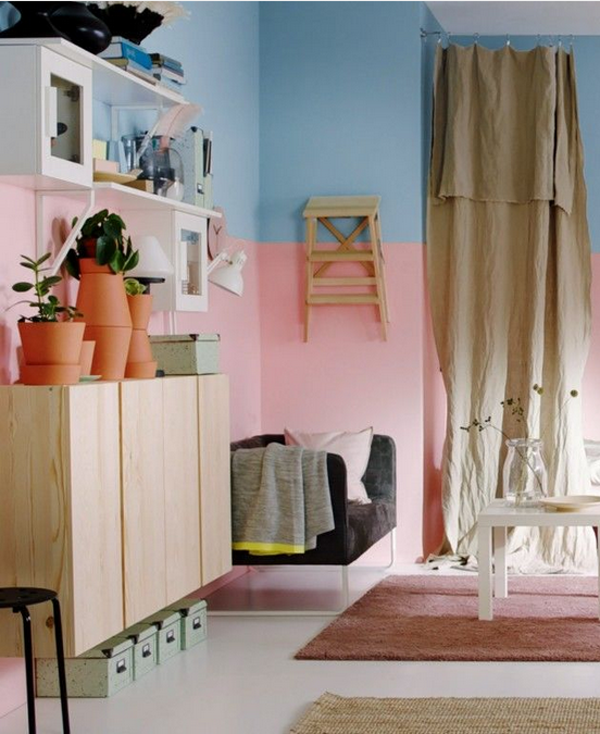 So we browsed through and found 10 decorating tips that can make room for life. Let's take a look! 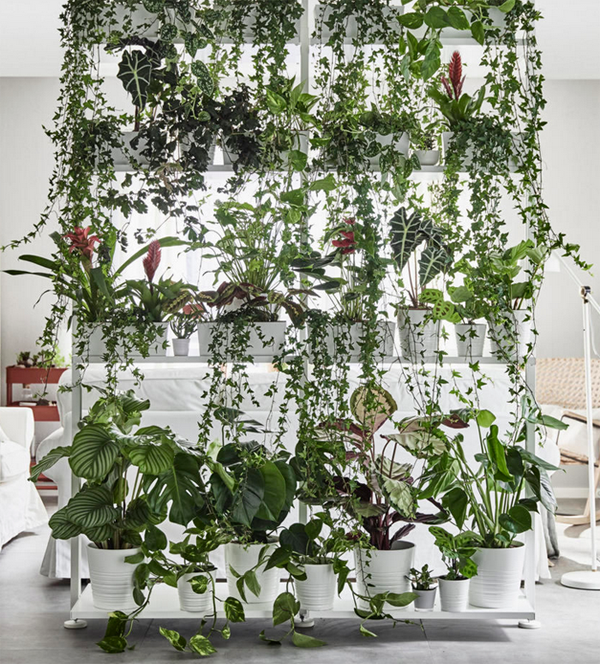 Love this idea of creating a room divider using a shelf and heaps of plants. 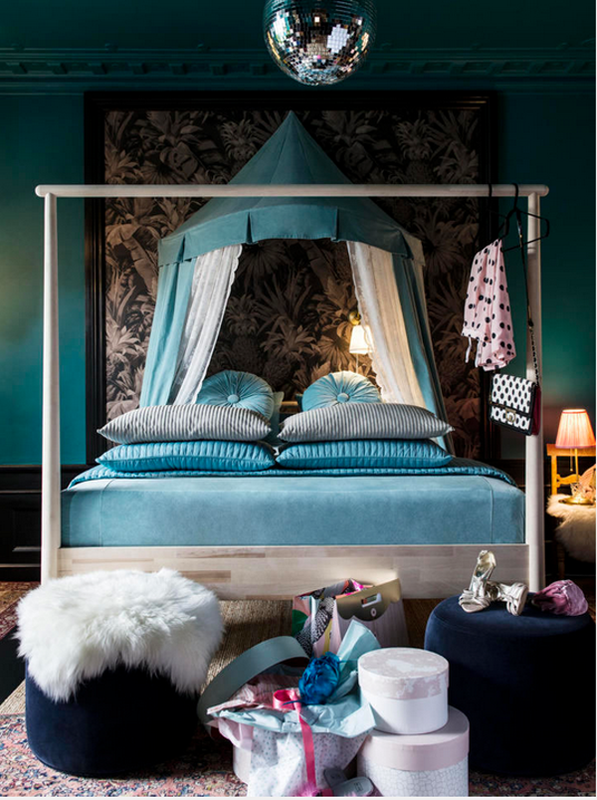 Parisian haute couture designer, Maryam Mahdavi created a Marie Antoinette-style bed using a children's canopy as the base of her inspriation. 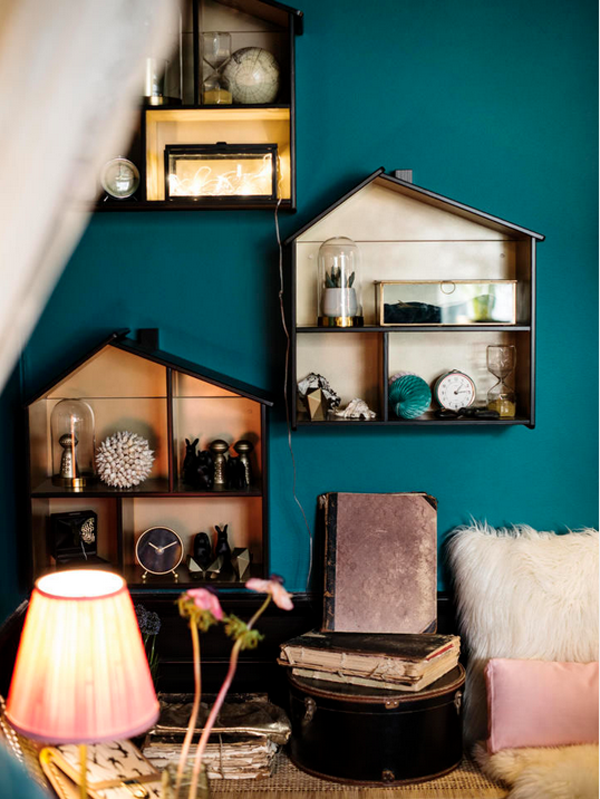 Doll houses from Children’s IKEA, spray-painted in gold and high-gloss black and mounted on the matt turquoise wall like a very small museum. By Maryam Mahdavi. 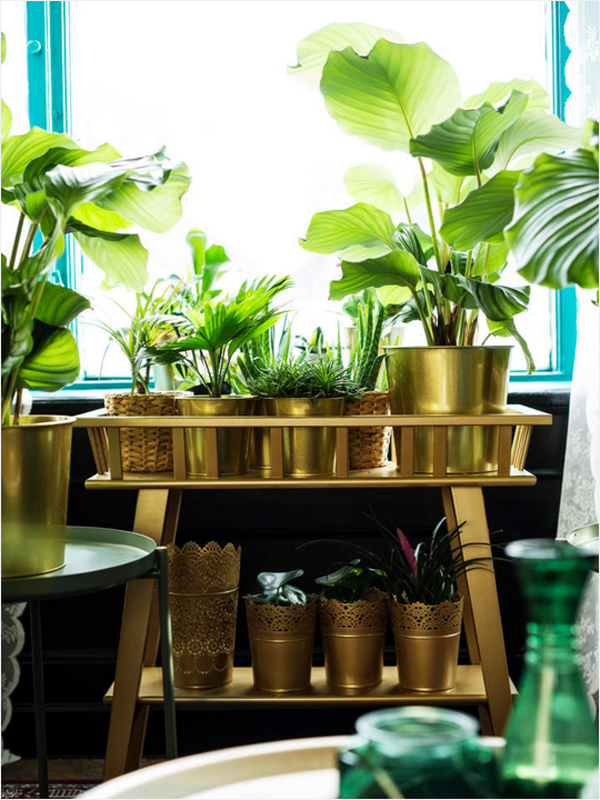 Maryam Mahdavi also spray-painted plant pots and furniture in brass-color to add glamour. If you have a musical family, hang some instruments to add to the decor. 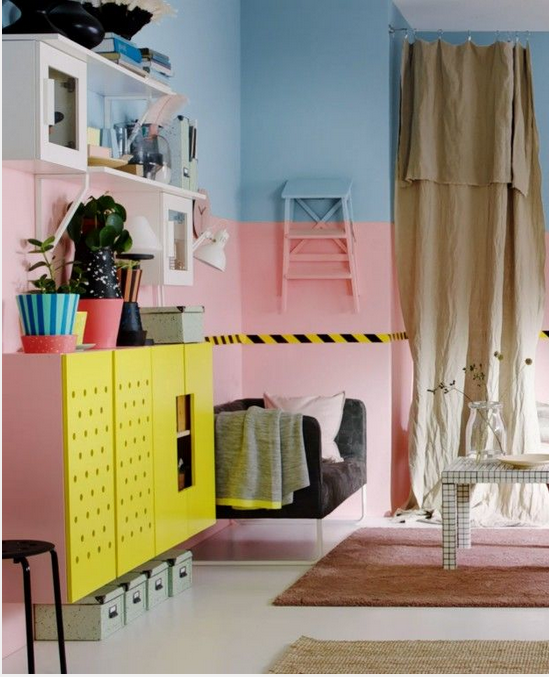 If you need extra storage, go high. 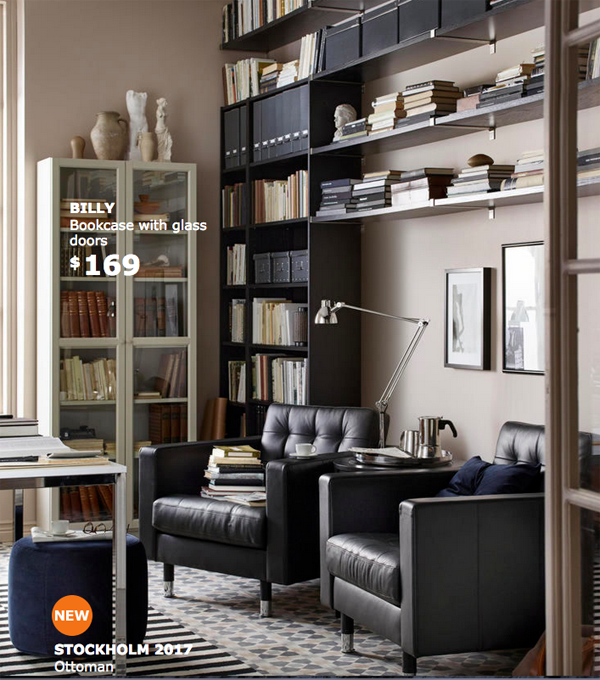 Add shelving that attaches to the wall for extra storage. 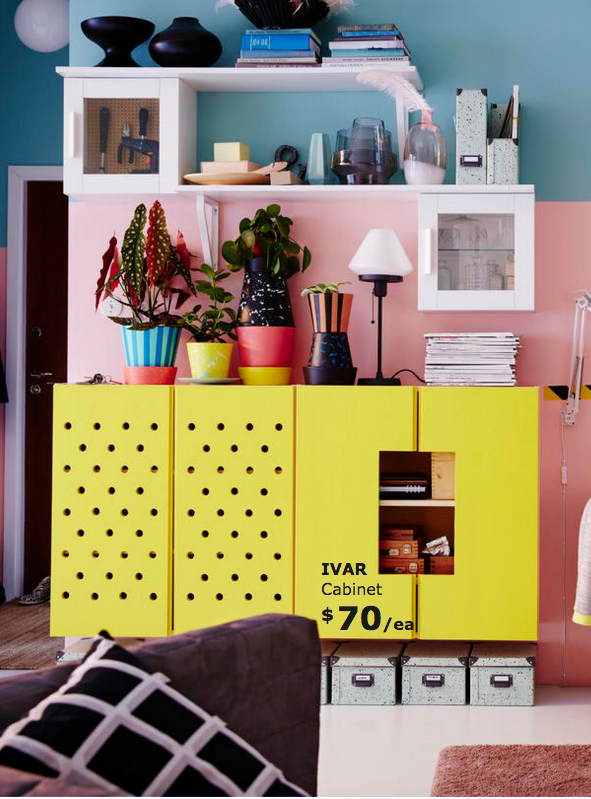 Make it yours by adding something bold like a bright paint, or drill holes into the doors of cabients to make it unique. 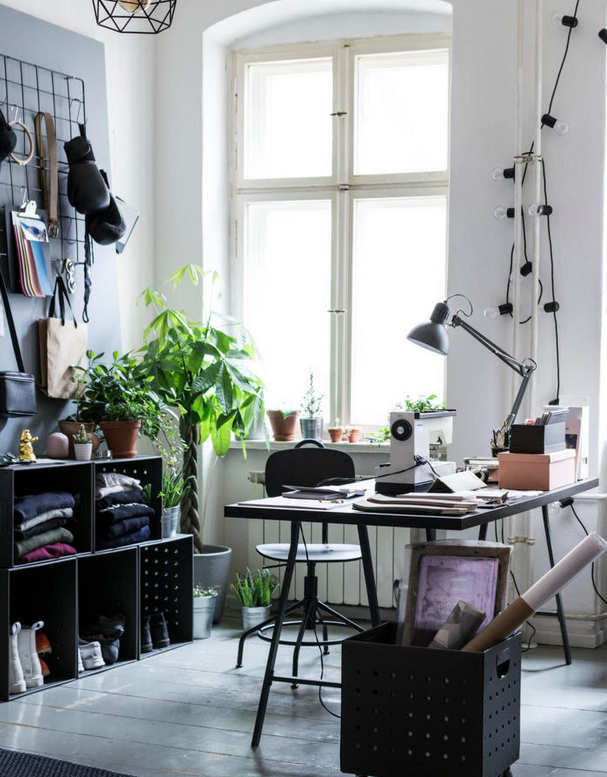 Use shelving brackets to store rolls of paper in a home or work studio. 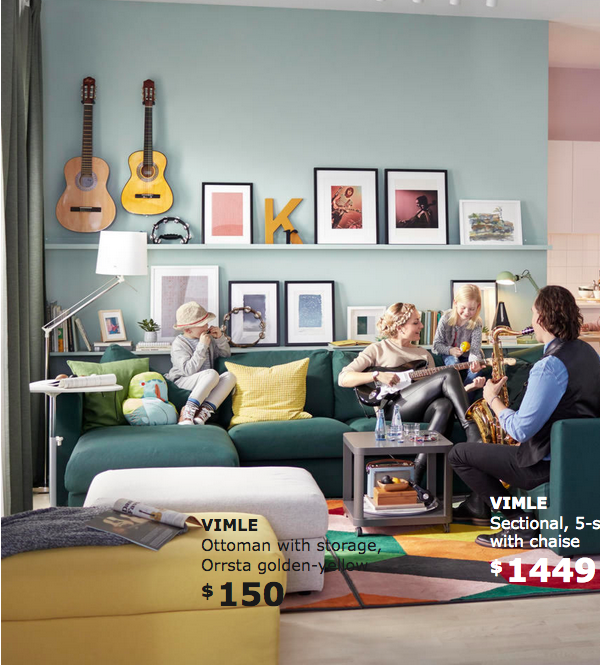 A large mural can make a plain space pop! 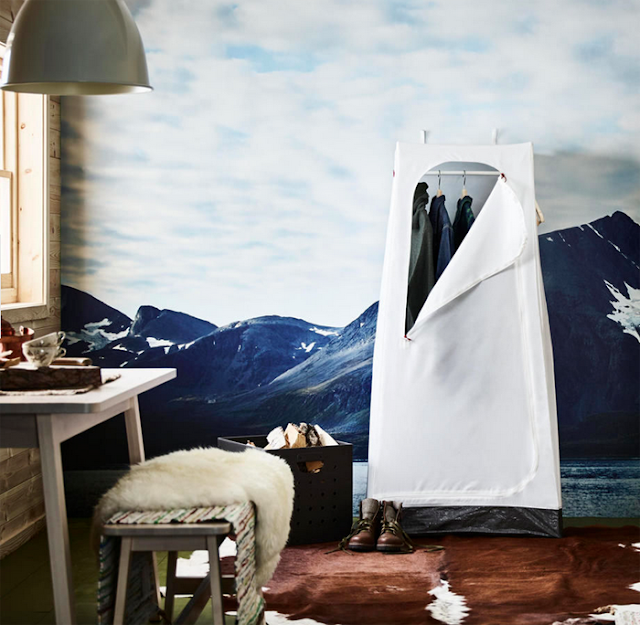 Love this mountain view and the fun utilitarian closet that looks almost like a camping tent against it. Click here to see more of the new 2018 IKEA Catalogue. Does anyone know what wallpaper Maryam madhavi used in the baroque bedroom ??? Love it and cant find it anywhere !